Click thumbnail to view menu. Sauce & Cheese: $10.99. Traditional Toppings: $1.00 (Pepperoni, Italian sausage, meatball, hamburger, ham, salami, green peppers, mushrooms, onions, black olives, jalapeno peppers, anchovies, banana peppers.). Gourmet Toppings: $1.50 (Bacon, spinach, sliced tomatoes, pineapple, fresh garlic, cheddar cheese, grilled chicken, kalamata olives, green olives, feta cheese). Sauce & Cheese: $12.99. Traditional Toppings: $1.50 (Pepperoni, Italian sausage, meatball, hamburger, ham, salami, green peppers, mushrooms, onions, black olives, jalapeno peppers, anchovies, banana peppers.). Gourmet Toppings: $2.00 (Bacon, spinach, sliced tomatoes, pineapple, fresh garlic, cheddar cheese, grilled chicken, kalamata olives, green olives, feta cheese). Sauce & Cheese: $14.99. 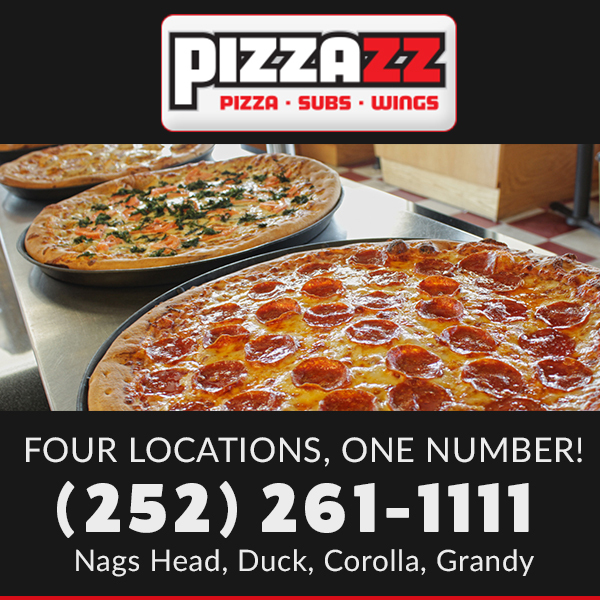 Traditional Toppings: $2.00 (Pepperoni, Italian sausage, meatball, hamburger, ham, salami, green peppers, mushrooms, onions, black olives, jalapeno peppers, anchovies, banana peppers.). Gourmet Toppings: $3.00 (Bacon, spinach, sliced tomatoes, pineapple, fresh garlic, cheddar cheese, grilled chicken, kalamata olives, green olives, feta cheese). White sauce, mozzarella, tomato & spinach. White sauce, mozzarella, cheddar, parmesan & grilled chicken strips. White sauce, mozzarella, tomato, onions & jalapenos. Red or white sauce, mozzarella, ham & pineapple. White sauce, mozzarella, tomato, onions, kalamata olives, banana peppers, feta cheese & spinach. Red or white sauce with mozzarella, cheddar, ground beef & bacon. Italian bbq sauce with mozzarella, cheddar & grilled chicken strips. Red sauce, mozzarella, pepperoni, sausage, ham, bacon & hamburger. Red sauce, mozzarella, pepperoni, sausage, ham, green peppers, mushrooms, onions, black olives & jalapenos. Red sauce, mozzarella, green peppers, mushrooms, onions, tomatoes, black olives & jalapenos. Dipping sauces: Ketchup, ranch, blue cheese, pizza sauce, honey mustard, Texas Pete. Oven-roasted Buffalo chicken wings served with your choice of dip sauce. Fresh cut shoestrings salted and served by the box with your choice of dip sauce. Dressings: Ranch, Light Italian, Parmesan & Pepper, Bleu Cheese, Oil and Vinegar, Thousand Island. Iceberg lettuce, tomato, green peppers, onions, mozzarella & cheddar. Iceberg lettuce, tomato, onions, green peppers, green olives, black olives, hot peppers, pepperoni, ham, bacon, mozzarella & cheddar. Iceberg lettuce, tomato, onions, kalamata olives, feta, banana peppers & mozzarella. All subs served with chips. Shredded beef and onions covered with cheese, lettuce, tomato & mayo. Shredded chicken breast, onions, cheese, lettuce, tomato & mayo. Ham, salami,pepperoni, cheese, onions. hot peppers, lettuce, tomato & light Italian dressing. Ham, cheese, lettuce, tomatoes, onions & mayo. Sliced grilled chicken breast with marinara, mozzarella & parmesan. Green peppers, onions, mushrooms, cheese, lettuce & tomato with light Italian dressing.